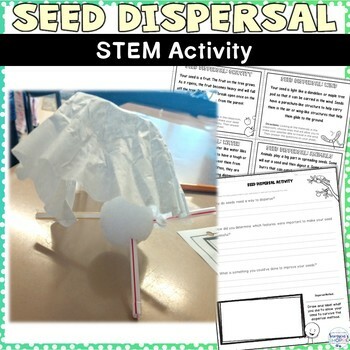 Need a creative activity that will review the methods of seed dispersal with your students and incorporate STEM learning? This plant resource will review four methods of how seeds are spread; gravity, wind, water, and animals. 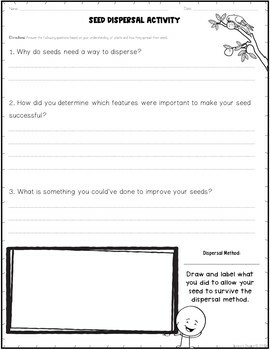 Students will use their inquiry based thinking skills to creatively create a covering that will allow their seed to survive. Like this resource? Check out my plant nonfiction packet to pair with this activity. 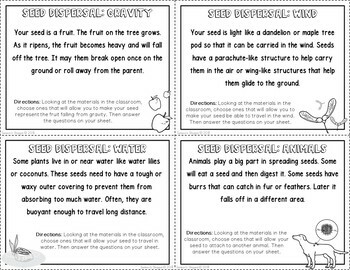 Review four ways that seeds disperse their seeds; gravity, wind, water, and animals. 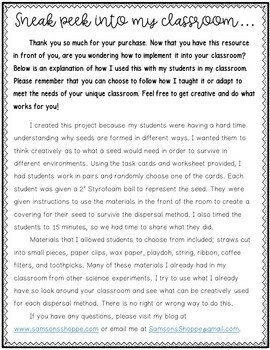 Create a seed covering that will help their seed survive and thrive in relation to how it was dispersed. Teacher instruction to implement into your classroom. This activity will allow students to creatively display their knowledge of how plants spread their seeds to survive in a new environment.